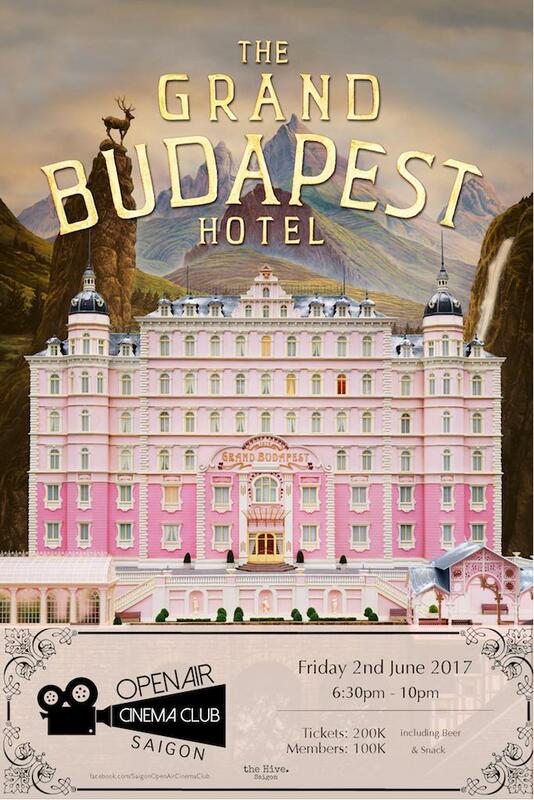 Join us as we screen the wonderful Grand Budapest Hotel and the adventures of Gustave H. A legendary concierge at a famous hotel from the fictional Republic of Zubrowka between the first and second World Wars, and Zero Moustafa, the lobby boy who becomes his most trusted friend. Saigon Open Air Cinema Club screens some of the best movies in history on a fantastic rooftop located in the heart of D2. To stay up to date with all screenings be sure to like us on Facebook: Saigon Open Air Cinema Club.